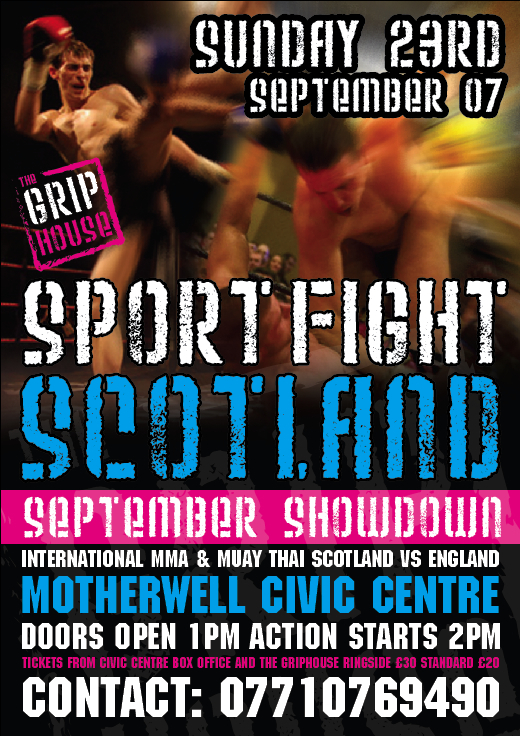 Following the successful Superpower Showdown, Caledonian Muay Thai, The Griphouse, and Sportfight Scotland join forces to host the September Showdown at Motherwell Concert Hall, Sunday September 23rd. 3 rounds of close action saw Eddie fail to come out after the 3rd - win to Chris. Both fighters kept busy throughout but a greater number of higher scoring thai techniques were landed by Henry to take the victory. A tremendous bout from both young lads. The Maryport fighter took it and his trainer clearly won the unofficial 'most animated cornerman' award hands down. For many, this MMA bout was fight of the night for sheer energy expenditure and two very game fighters, one of whom stepped into the ring at 12hours(!) notice. Arm bar win at 1min 32s of R2 to Daniel. Classic DNFT fayre with a rear naked choke win in 48s of R1. Well done Scott Ward. A technically adept performance from Dip saw him take the victory including some lovely long range teep/side-kick hybrids. 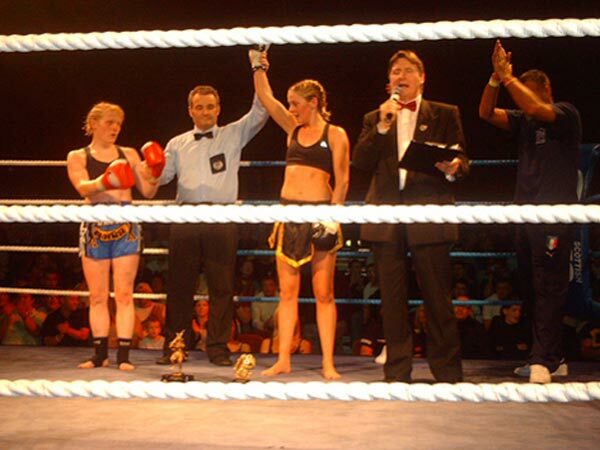 JoJo's Caley debut saw her put on a kneeing masterclass to convincingly defeat Zoe over the 5 rounds. 2mins 32s of R2 saw Rich sink in a guillotine to take the win. Alan took a leaf out the energiser bunny's training manual and did not stop attacking Steven for the fight's short duration. 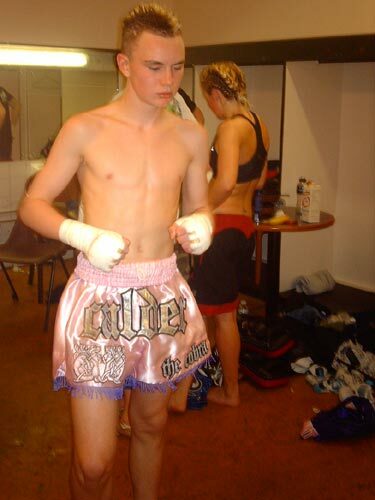 A frenetic win by TKO in R1. Jordan looked calm and almost clinically accurate, landing some heavy shots including some crackers to the body with his right hook. Danny kept working right to the end of this, only his 3rd fight. Well done to both lads! The fighted ended in victory for Meher after a nasty looking collision and fall following a jumping knee from the travelling Swede. An unusual MMA bout being fought almost entirely in the standing clinch over 3 5min rounds. Martin won, catching the judges attention through keeping busier in the clinch, throwing more varied techniques and landing some solid knees. A clash of the champions gave the crowd a close-fought battle, fought often in the clinch. Hilary took the decision. An assured performance from Rab meant that he kept his title in the face of a quality challenger. Well done to both fighers! Just 41s of R1 was all it took for the second Swedish victory of the night. Assan by guillotine. Don't f##k with a Dinky Ninja. Relentless ground & pound victory from the Afterburner.